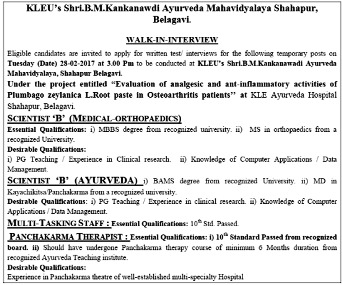 Sri B.M.Kankanawadi Ayurveda Mahavidyalaya, Belagavi. 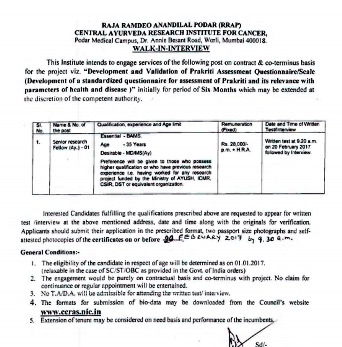 Raja Ramdeo Anandilal Podar Central Ayurveda Research Institute for Cancer, Mumbai. 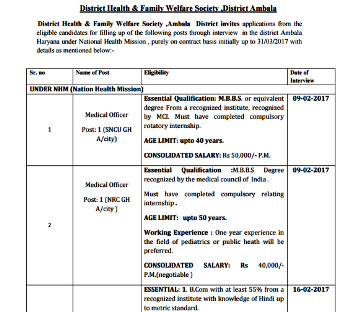 District Health and Family Welfare Society, Ambala. 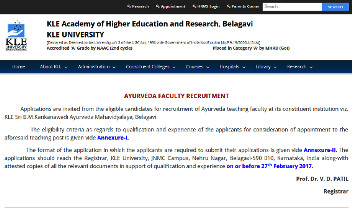 Shri B.M.K Ayurveda Mahavidyalaya, Belagavi. 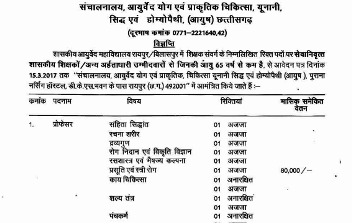 Central Ayurveda Research Institute for Respiratory Disorders, Patiala. 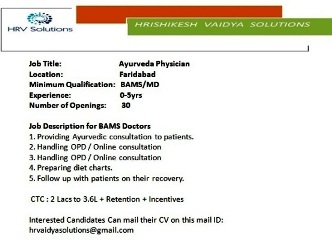 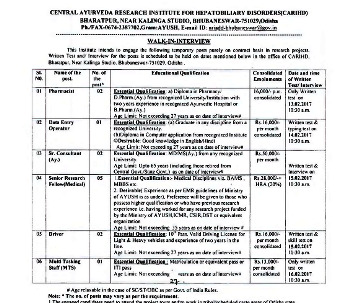 Central Ayurveda Research Institute for Hepatobiliary Disorders, Bhubaneswar. 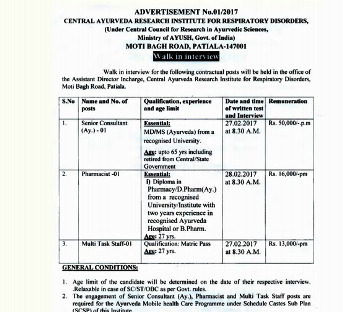 Central Ayurveda Research Institute for Neuromuscular & Musculo Skeletal Disorders, Kerala. 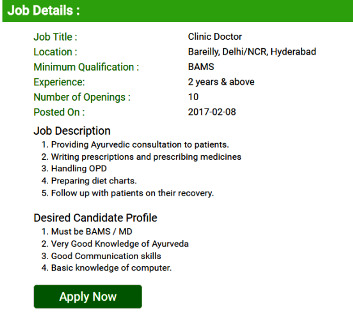 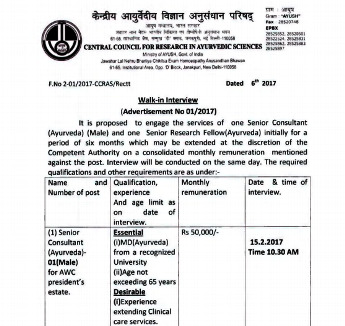 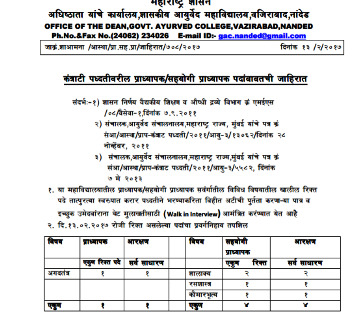 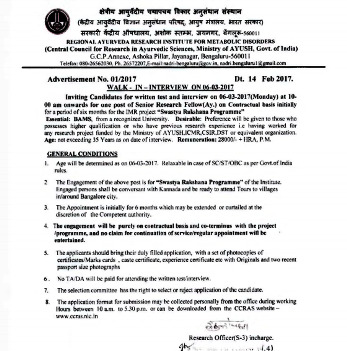 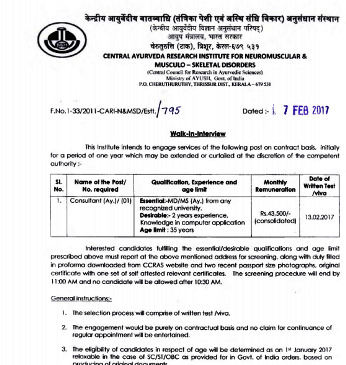 Central Council for Research in Ayurvedic Sciences, New Delhi. 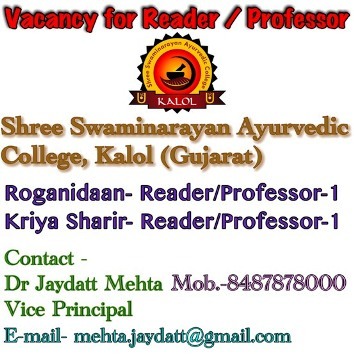 Shree Swaminarayan Ayurvedic College, Gujrat. 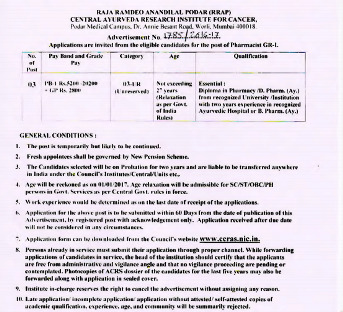 Raja Ram Deo Anandilal Podar (RRAP) Central Ayurveda Research Institute For Cancer, Mumbai. 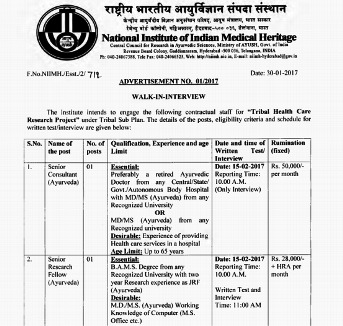 National Institute of Indian Medical Heritage, Hyderabad.